After a long hiatus, we have decided to bring back the NFL Lessons blog for the rest of the regular season & into the playoffs. With so much happening around the league, there are many lessons that were learned on this Sunday, & many teams became true contenders, while many were shown to be complete pretenders. Stop me if you have heard this narrative before – Dallas Cowboys get a good lead going. Play great defense. Tony Romo looks like an All-Pro Quarterback. Dez Bryant is taking steps to become an elite receiver in the league. come back from 26-3 to win 37-36. Wait – that was only the first half of the game? Oh no. The Cowboys choked away a 26-3 lead on Sunday against the Green Bay Packers, the second-largest collapse in the history of the franchise. Packers QB Matt Flynn, backing up injured QB Aaron Rodgers, threw for 4 TDs in the second half alone, leading the Packers to a 37-36 victory. The collapse was so hard to take that Dez Bryant decided to take his ball & go home with 1:21 left in the game, leaving due to frustration of being a part of one of the biggest choke jobs ever. 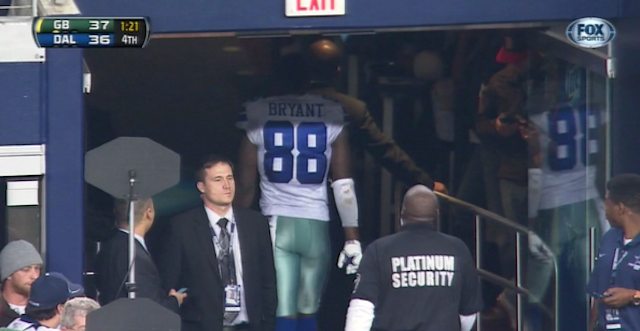 But this isn’t all on Dez Bryant, however. Tony Romo, yet again, threw an interception in the 4th quarter, instead of running the clock down & closing out the game, showing his inability to win big games in the clutch, an issue that has plagued Romo since he became the Cowboys starter in 2006. Romo is a great quarterback & statistically may become one of the greatest Cowboys quarterbacks ever, but until he can emotionally & mentally get over his hurdles of not coming through in the 4th quarter, his career will always be looked at as a failure. This loss showed that the Cowboys are not ready to be a playoff team this year, even in a bad NFC East, & if they so happen to make the playoffs, they will be out very quickly. 2 games this year (Detroit, Green Bay) were able to be won, but the Cowboys completely choked away those opportunities, which makes me believe that there will be some job security issues that will need to be addressed this offseason, or even this week possibly. 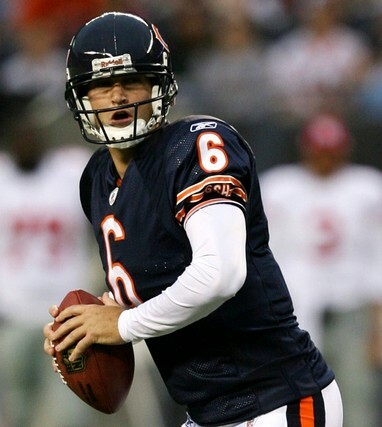 Cutler was coming back from a bad ankle that was injured weeks back, which led to career backup Josh McCown coming in and throwing for 13 touchdowns with only 1 interception. But Cutler is the franchise guy, & after having 2 interceptions yesterday against the Cleveland Browns, the Chicago Bears came back to have a 38-24 victory & take over the lead in the NFC North for today, & not for sure until the result of the Detroit Lions v Baltimore Ravens game tonight on Monday Night Football. For now, Cutler has the confidence of the team & coaching staff again, especially with the offense being the best setup it has been in years with having receivers Brandon Marshall & Alshon Jeffery making circus catches almost weekly. The defense has a lot to be desired, mainly because so many defensive anchors were lost after last season, but, like so many teams in the NFL, the Bears defense does enough to keep the team in games right now. If the Bears can hang on & the Lions don’t show up in the last couple of games in the season, the Bears have the potential to be a dangerous team in a potential home playoff game. The New England Patriots are one of the most resilient teams in the NFL, for all of the injuries & losses they have gone through this year with TE Rob Gronkowski being out, losing Danny Woodhead to San Diego & having Danny Amendola out because of concussions, not to mention losing Wes Welker in the offseason to the Denver Broncos. The Patriots have always figured out how to get the answers straight when it comes down to getting business taken care off on a weekly basis, but on Sunday, it was clear that Tom Brady is clearly missing his #1 target in Gronkowski, which could be a major factor in the AFC Playoff seeding. By losing, the Patriots lost the opportunity to jump up & gain ground on the #1 seed overall due to the Broncos losing in a shocker to the San Diego Chargers on Thursday night. The Patriots get a bit of a reprieve due to the Cincinnati Bengals not handling their business against the Pittsburgh Steelers, so they will still end up in the #2 spot for now. But with the offense looking very vanilla & Brady having to learn trust in receivers playing in positions they aren’t comfortable with, the Patriots could be in a lot of trouble if they have to play in Denver for an AFC Championship Game. Without the big time difference maker & a big play receiver on the outside, it will be a tough road through the playoffs with no one that is going to scare a secondary & take the top off the defense.